Joseph Long is currently the Executive Director Value Management and Global Standardization at Inteva Products, LLC. Joe's roles include conducting Value Analysis workshops on latching products, door systems, instrument panels, and sun roof systems. Joe is active in conducting workshops globally, recently completing workshops in the US, China, Europe, and Mexico. Joe has a Master's of Science degree from the Graduate School of Business at Stanford University and a Masters of Science degree in Electrical Engineering from Oakland University, along with a professional engineering license from the State of Michigan. Joe is currently pursuing his CVS certification from SAVE. Jim is currently VP of Alfred Benesch & Co. and their Michigan Division Manager He became involved in VM in 1995 while with the Illinois State Toll Highway Authority. He joined SAVE and became a CVS when he joined Benesch in 2003. Jim comes to us from the Chicago Metropolitan Chapter where he was an active member of the chapter and served as its President until his relocation to Michigan in 2010. Jim earned his bachelors degree from Florida Tech, and started his career working at a small, private consulting firm in Rochelle, Illinois. Jim, an Eagle Scout, has been active in his community, serving on Rochelle's Planning Board for 12 years, and president of various condominium boards in Chicago. Jim is also active in various other professional societies. Gordon Johnson has led over 130 VA/VE studies with 3 major Tier 1 automotive suppliers a truck OEM and an appliance manufacturer over the past 15 years. His experience also includes several years in automotive component design and development and as a Construction Engineering Technician. Gordon has been a CVS since 2002 and has previously enjoyed serving in the Greater Michigan Chapter as Director of Membership, Director of Programs and Director of Administration. 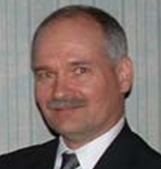 Greg Andrysiak, CVS, is currently Principle Consultant and President at Cost Innovations LLC TM. He is conducting training and workshops primarily to reduce product cost through the application of VAVE, Benchmarking, and DFMA. Greg is a certified value specialist and has an approved Mod I course. He has conducted hundreds of work shops resulting in hundreds of millions of dollars in savings. Greg has been an active SAVE International member since 1994, and has served as Vice President of Communications (June 2000 to May 2001), and served as Director of Manufacturing for SAVE International (2004 to 2009). John Borza is a registered Professional Engineer and a SAVE certified AVS. John has been involved in Value Management since late 2002, and has previously served as VP, President, Past-President, Host Chapter Conference Committee Chairman, and Acting Director of Communications of the Greater Michigan Chapter of SAVE International. He has recently formed his own consulting company, Value Innovation, LLC, after retiring from TRW Automotive where he worked for 33 years, in various Engineering and Management roles. John holds a Bachelor's degree in Electrical Engineering and a Master's in Business Administration from the University of Michigan. He is an Altshuler Institute Certified TRIZ Practioner, and a Pretium certified TRIZ Master Black Belt, and a member of Tau Beta Pi, the Engineering Honor Society. Jim Bolton is a Certified Value Specialist (CVS) and a Professional in Value Management (PVM) conducting numerous Module I Workshops globally where he has been the advisor and mentor for over 132 certified AVS practitioners. He is currently an independent consultant and principle at Bolton Value Consulting. Prior to that, he held the position of Global Lead for Design for Value and DFMA at Whirlpool Corporation where he was responsible for developing a Value Engineering and Design for Manufacturing and Assembly process within the corporation. Jim currently holds the office of Past-President of SAVE International. Previously he has held the positions of Vice-President, VP of Global Affair, and Director of Miles Value Foundation. He is active in the Greater Michigan Chapter of SAVE International. Phil is currently a VA/VE, project manager, and quality assurance officer at AECOM. He has served as a VE workshop technical specialist since 2012, and became an Associate Value Specialist in 2015. Phil�s practice includes federally funded, state and municipal transportation projects, and other public infrastructure projects. He has been elected and/or appointed to numerous government boards, commissions and committees. He earned his B.S.C.E. and M.S.C.E. from the University of Michigan.